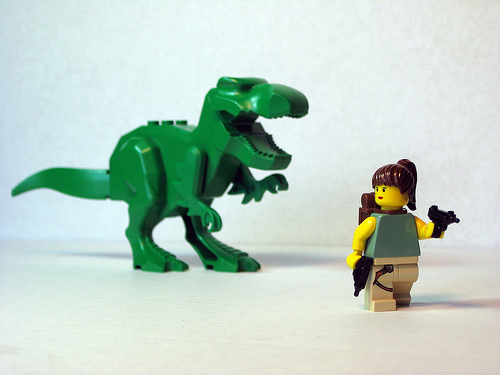 Lara Croft vs. T. Rex! It’s hard to believe that it’s been more than ten years since eager computer gamers first began controlling the increasingly curvaceous (hurray for higher polygon counts!) Lara Croft in Tomb Raider games.